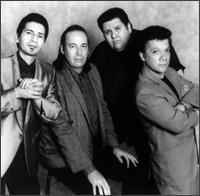 The Blazers, formed in 1990 in Los Angeles, California, play a guitar-heavy blend of hard-driving blues-rock and rockabilly. They are often compared with Los Lobos. Their 1994 debut album, "Short Fuse", was one of the best rock records of the year by many critics.